Eating Disciples | It's all about the cake! I have been eating disciples this week. 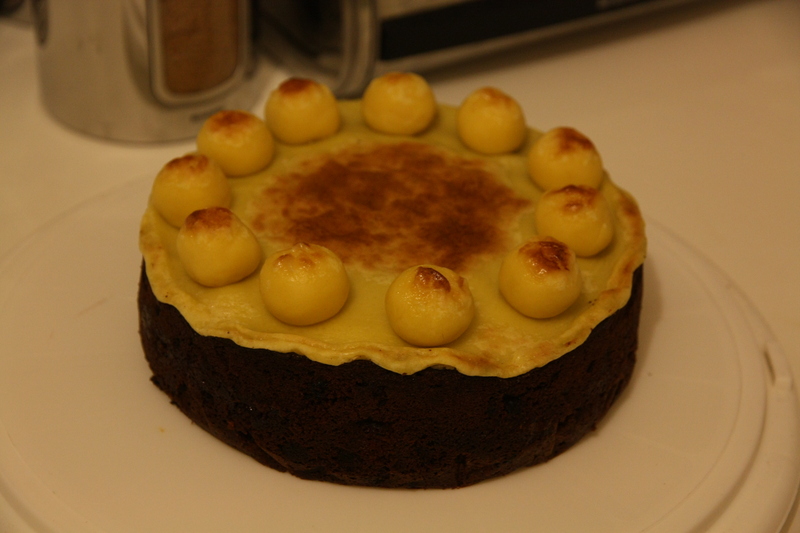 Following the traditional method of making and decorating a simnel cake has meant that I had 11 marzipan balls on top of mine (the marzipan balls on top of the cake are meant to represent the 11 disciples of Christ, excluding Judas). I might go for 12 next time. It’s easier to spread them out on top, you get more marzipan and there’s less arguing over the last piece. Rules are there to be broken right? Eating the cake BEFORE Easter was also a rule that I broke this time. Oh well. Roll out one third of the marzipan. Using the base of rouy cake tin as a guide (an 18cm round loose-bottomed tin is best), cut out an 18cm round. Grease the cake tin and line with greaseproof paper. Combine all the cake ingredients and beat until thoroughly blended. Spoon half of the mixture into the prepared tin and smooth the surface. Top with the round of marzipan. Spoon the remaining mixture on top and level the surface. Bake in a preheated oven at 150C/gas mark 2 for 2 1/4 hours or until golden brown and firm to the touch. As ever, don’t leave too long. I think a bit of bounce in the middle of the cake is ok, as mine came out a bit overdone round the edges when I left it till firm all over. Leave to cool for 10 minutes, remove from the tin and then leave to cool completely. Brush the top of the cake with the jam/marmalade. To decorate, roll out half of the remaining marzipan and cut out an 18cm round. Put on top of the jam and crimp the edges. Roll the remaining marzipan into 11 even-sized balls. 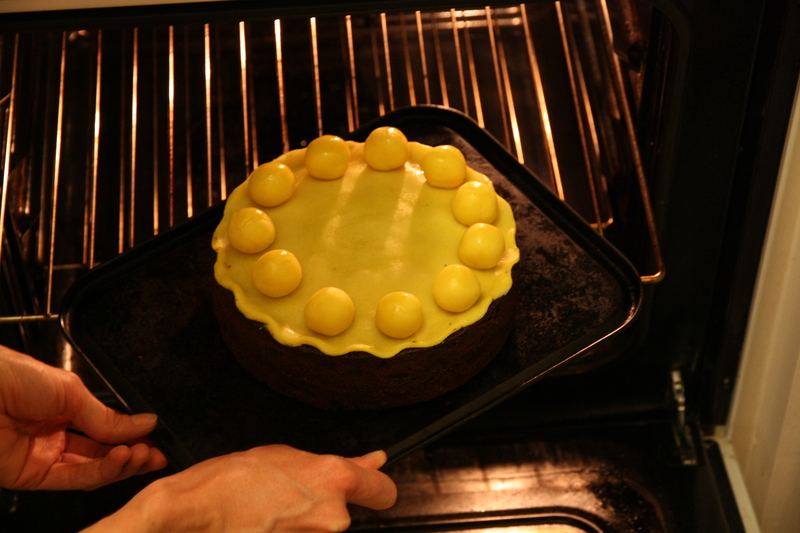 Place around the edge of the cake, attaching them with egg white. Brush the tops of the balls and the almond paste with egg white. Place under a hot grill for 1-2 minutes until the balls are golden. Et voila! Grilled disciples on fruit cake.